LTO 5 Ultrium 3TB WORM Data Cartridge offers reliable data protection, ensuring full use of capacity and better ROI. Use only with LTO-5 Drives. 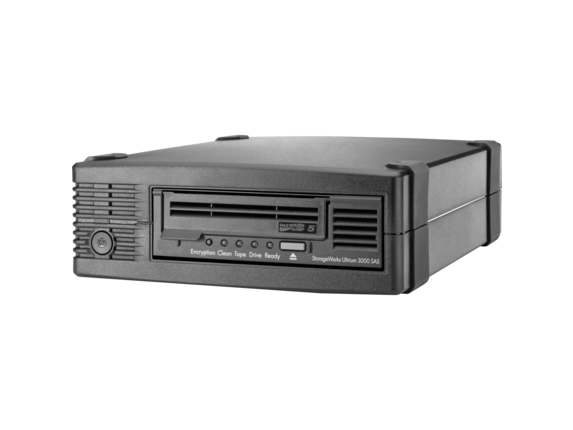 HP LTO-5 Ultrium tape drive technology uses a linear format of 1,280 tracks, writing 16 tracks simultaneously, at a 280MB-per-second transfer rate. The data is written in a serpentine pattern. The tape reverses direction after each set of 16 tracks is written. Superior smart grabber mechanism and mechanical interlock prevent the leader pin from being pulled inside the tape housing (a key weakness of DLT media). Sensors detect proper connection and prevent leader loss that would ruin the tape. Rewritable LTO-5 cartridge also offers data encryption for enhanced data security and simplified tape path to reduce wear and tear. Metal particle cartridge has a compressed capacity of 3.0TB and recording density of 343 kbits per inch. Cartridge lasts 260 full tape backups. Exhaustively tested, LTO-6 Ultrium cartridge meets all your demands for maximum reliability when restoring data, offering high storage density, ease of management and scalable storage and backup performance. Cartridge can write or read data at a blistering 1.4 TB per hour, storing, encrypting and protecting up to 3TB on a single cartridge, making it the big hitter in large-scale, 24x7, mission-critical IT environments. Memory chip delivers faster access time and enhanced media monitoring. Superior "smart grabber" mechanism and mechanical interlock prevent the leader pin from being pulled inside the tape housing. Sensors detect proper connection and prevent leader loss that would ruin the tape. 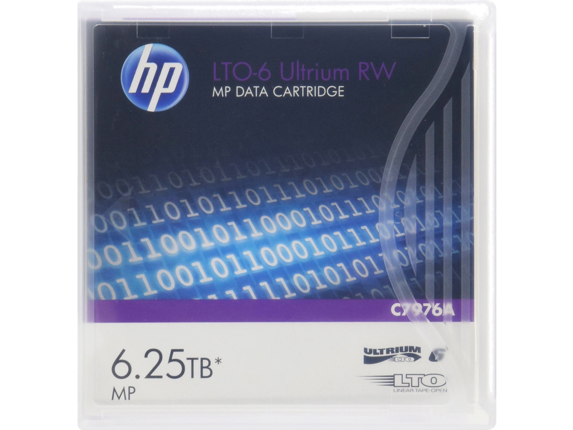 LTO-6 Ultrium 6.25TB MP RW Data Cartridge also features data encryption for enhanced data security on and covers six generations of capacity: LTO-1 (200GB), LTO-2 (400GB), LTO-3 (800GB), LTO-4 (1.6TB), LTO-5 (3TB), and LTO-6 (6.25TB or up to 2,176 tracks). 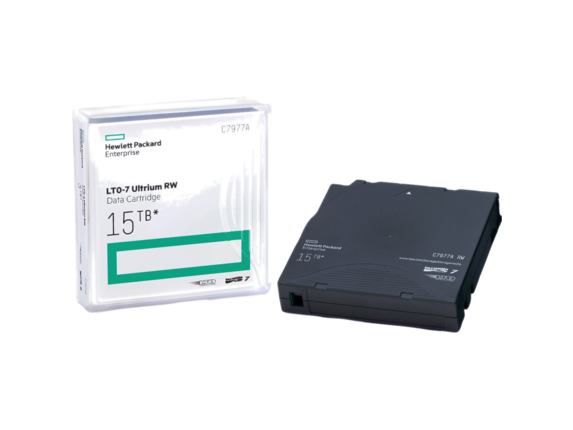 HPE LTO Ultrium cartridge meets all your demands for maximum reliability when restoring data and offering high storage density, easy management and scalable storage and backup performance. It can write or read data at a blistering, 2.5TB per hour. It stores, encrypts and protects up to 15TB on a single cartridge. LTO Ultrium cartridge memory chip delivers faster access time and enhanced media monitoring. Superior ""smart grabber"" mechanism and mechanical interlock to prevent the leader pin from being pulled inside the tape housing. Sensors detect proper connection and prevent leader loss that would ruin the tape. Simplified tape path reduces wear and tear and buildup of debris, which is important in automation. 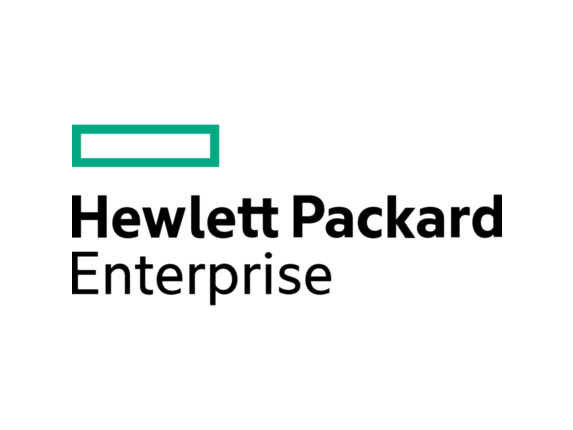 HPE brand qualification test procedures ensure maximum reliability for restoring your data. LTO Ultrium Linear Tape File System makes using tape as easy, flexible, portable and intuitive as using other removable and sharable media, such as a USB drive. Does your budget-conscious small business have little or no IT resources with rudimentary backup processes in place? 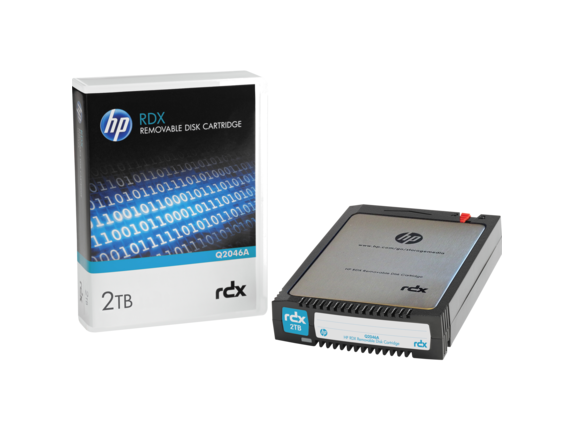 The HP RDX Removable Disk Cartridge delivers an easy-to-use, affordable, rugged and removable data protection cartridge for servers and workstations. Backups are simple and pain-free with drag and drop file access. Fast disk based performance provides the ability to store, 320 GB, 500 GB, 1 TB or 2 TB of data on a single removable disk cartridge at speeds of up to 360 GB/hr. Long lasting removable disk cartridges and forward and backward compatible RDX docking station reduces ownership cost. 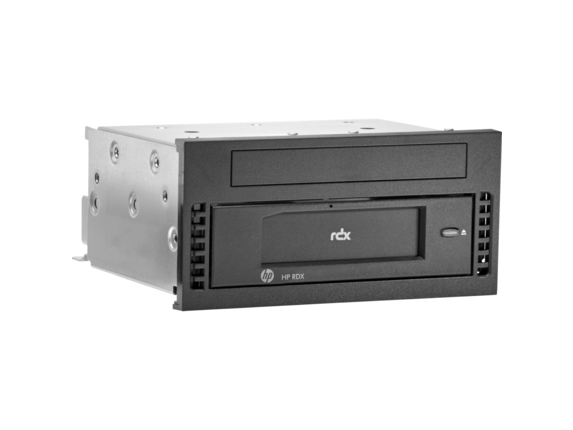 When used with an HP RDX Backup System the solution seamlessly integrates with HP Continuous Data Protection Software providing complete data protection and enabling simple and secure off-site storage. 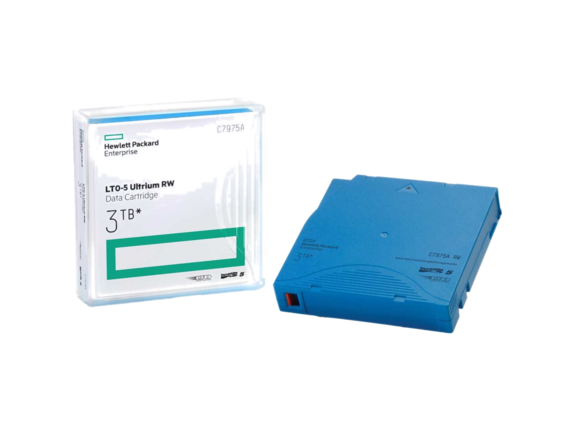 When you need reliable backup for large amounts of data for your home or business, you need a tape drive with Ultrium, HP’s own Linear Tape Open (LTO) technology. Faster than ever before, and also secure and designed to integrate easily into any setup, HP’s tape drives will keep your data safe while staying out of your way. More affordable and compact than HDD or SSD storage, but with the stability, flexibility, and security that HP® guarantees, tape drives are the ultimate backup solution. With HP’s sixth generation of LTO providing a storage capacity of up to 6.25TB per cartridge and data transfer rates up to 400MB/second, you know you will get your money’s worth with a tape drive that can handle whatever you need backed up. And thanks to the AES 256-bit encryption that comes standard in HP data hardware, you can be sure that your data will stay both safe and secure. These may technically be tape backup drives, but through using HP’s Linear Tape File System (LTFS), data is presented as it would be on a hard drive—self-describing and file-based. HP StoreEver TapeAssure Advanced Software presents everything you need to know about your data and your tape drive in an easy to use dashboard. Beyond simply accessing files in your cartridges and showing the status of the machine, TapeAssure comes with advanced analytics features that will predict bottlenecks and advise you of potential failures and load-balancing issues. TapeAssure lets you take the guesswork out of replacing a tape, so you can prevent data loss and drive slowdown. Whatever your data needs are—be it backing up at home or for a business, or whether it’s mainly text documents of massive media files—there’s an HP tape backup drive for you. Regardless of the speed or capacity of your selected drive and whatever your system, HP’s exclusive Data Rate Matching optimizes system speed to keep drives streaming while enabling the fastest tape performance. Don’t just work smarter; work faster.